Commonwealth Stamps Opinion: 953. Gibbons Editor Draws The Line At £10. 953. Gibbons Editor Draws The Line At £10. The May 2017 edition of Gibbons Stamp Monthly includes a very important discussion by Hugh Jefferies, the editor of the Stanley Gibbons Catalogue, in his Catalogue Column about the problem he faces in dealing with "ultra-high-value stamps" such as we have seen recently from British Virgin Islands, The Gambia and Liberia. After a review of the history of extremely high face value stamps from the Queen Victoria £5 orange value onwards he draws attention to the appearance of £3, £5 or even £10 stamps which is occurring with "alarming frequency". He expresses the view that "we appear to be entering a new age of super expensive stamps, whose purpose is not explained, presumably in the hope that collectors will buy them". sheets with differences between those and the sheet stamps. 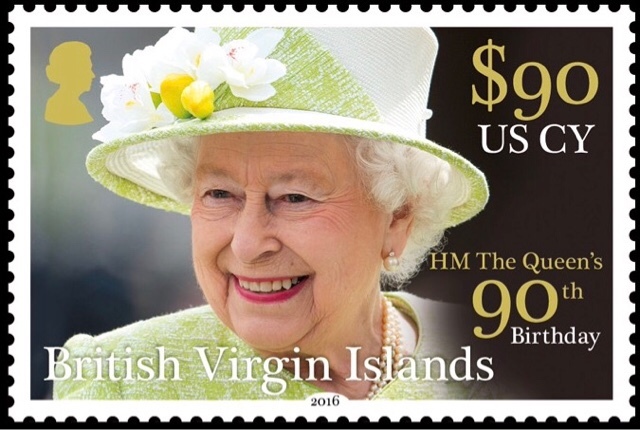 The editor writes about the British Virgin Islands high values recently issued and confirms that these were being treated as Revenue stamps on the islands. The editor draws attention to the fact that there is no indication that these items are intended to be used as Revenue stamps on the stamps themselves. He also mentions a set of 4 stamps released by St. Kitts in 2014 on UNESCO disability projects which includes a ECC$50 stamp - about £17 - and that he intends to list the 3 lower values but to only mention the high value in a footnote listing it, if at all, as a postal fiscal stamp. He concludes that he will be keeping an eye open for stamps with unreasonably high face values and seriously considering whether or not they should be listed. He states that he is taking the view that a face value of much over £10 or it's equivalent will be considered "potentially unreasonable" but he seeks collectors' views on the matter. This sounds like an excellent position for such an authorative figure to hold and collectors will be relieved to read his comment in Gibbons Stamp Monthly as a sign that extremely high face valued stamps will not find a place in the Gibbons Catalogue lists and therefore the pressure on them to buy such stuff is considerably reduced. However the term "potentially unreasonable" is a little weak and may imply that different standards may be applied in various cases - for instance some popular countries may be allowed more leeway than those which have negligible followings for their new issues so that Royal Mail may get a very high face value stamp into the catalogue listing but Grenada would be far less likely to do so. In my opinion equal standards should be applied to all excessively face valued new issues no matter where they originate. Still this comment by the Gibbons Catalogue editor is very welcome though whether or not it will deter the less scrupulous entities which produce and market new stamps remains to be seen. I would think the question is whether there is a legit postal need for the questioned denomination in the country of issue (are enough people or businesses mailing out something that costs L10 or more to the point where a L10 value is really needed instead of the use of two L5 values). The need for a particular high value would vary from country to country. Hello, eyeonwall. Your point is logical and practical though I suppose it is reasonable to ask how many postal authorities have postage rates above £10 or its equivalent. Of course there is the question of what one uses on parcels or special express rates though one really needs to ask if 190 or so countries don't need to issue extremely high face values then why do one or two small islands need to do so? It may be in these present times that the editor's choice of not listing items with a face value "much over £10" is a little too conservative but I think he is right to draw a line somewhere. In the US we have an express mail rate of over $20 (well over L10) and the service is used a lot, so there is a legit use for such a high face value stamp (even though the majority of them use a dreaded meter or PVI), but in the case of the BVI, one wonders how many how many high cost mailings are done there. In New Zealand NZ Post issued a $15 stamp in 2011 and 2015, the highest value thus far, as far as I know. For internal posting we don't pay GST (VAT) on stamps, but there is little need for such a high value stamp. However, if stamps are used for posting parcels internationally when such a high value is more likely to be used, we get charged GST for using them. This is a disincentive to use stamps and defeats the purpose of issuing such a high value for postal use. Sending a copy of medium sized printed book from Finland to US costs 31.30€ on normal mail, make it registered and postage goes up further 10€. Send something heavier, and the postage to US can go up to 259€ (no kidding). The highest postage rate I've heard has been 400€ (sending heavy parcel to Africa). So yes, there is need for high value stamps IMHO. Right now the highest value stamp on Finland is only 5€, which most postal outlets do not have/stock. So the sad reality (at least from stamp collector point of view) is that thermo labels etc. non-stamp items are being used to pay the postage of these heavy items. Can you imagine licking & sticking €400 worth of stamps on a parcel :o) Jeez, I wish this comment facility had an edit feature! Private persons would surely not do that, but for business it is sometimes the only option if you need to send heavy items across the globe. Of course there are courier services, but they are not cheap either. Thank you all for your very interesting comments. I agree entirely that there are some times when very high face values would be valuable but I suppose the question is - how often? 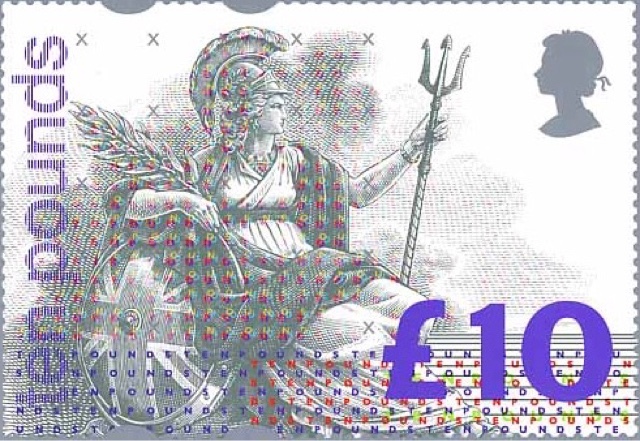 Presumably if it was commercially worthwhile from the point of view of postal usage (rather than philatelic) to produce higher values then postal services would do so but as the cost of design and printing has to be met then it's only worth producing them if enough of them are going to be used. A highest value of €5 does seem rather conservative in these present times. John, I sympathise with your expression of irritation at the difficulty in editing your comments. Blogger is shot through with problems - writing a Blog using it is not simple especially when using an iPad. We battle on. I believe eyeonwall has it spot on... the criteria should be is there a legitimate postal need for such a stamp. One high value stamp a year isn't going to break the bank, and if issued for a specific, regularly used, postal service then the need for the stamp is in my opinion justified. Sweden for example has been issuing new high value definitives but specifically for postal rates that are used those who run internet businesses and post parcels. Another example are many of the British Commonwealth territories which issue new definitives every four-five years and include values up to £5. Are these not excessive? I would suggest no. I know from visiting the Falklands that the £5 stamp is regularly used on internal mail for sending things between the islands, where a company in Stanley would drop something at the post office, pay the postage, and then the post office would deliver the item to various islands. 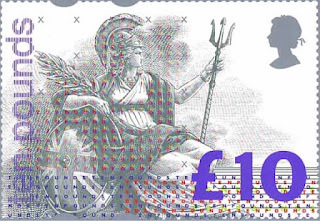 Also, a country may issue issue a high value stamp today that is above £10, but what happens over time when inflation hits and the face value of that stamp is no longer more than £10? That stamp will go into more general use, but collectors will never be able to find the stamp in their catalogues. In my opinion drawing the line at £10 (or any set amount) is fraught with potential issues. As eyeonwall says, if the stamp is issued for a legitimate postal reason, is freely available from post offices, and is found used on mail, then it deserves a place in the catalogue. One final thought, perhaps it would be better for Stanley Gibbons and collectors to think of ways of discouraging post offices from issuing too many high values? Dear Chris, Thank you. Your argument in this comment is very sensible and pragmatic. My only reserve about what you say is that you write about the acceptability of £5 and £10 stamps but what about the recent £76 (equivalent) from BVI and the £100+ stamps being sold by IGPC with the names of The Gambia and Liberia printed on them? I think it is likely to be those sort of items which are causing the Gibbons Catalogue editor such food for thought. I agree, stamps with values of £50+ are probably unnecessary, but if they meet a postal rate and are regularly sold by the post office then why should a post office not release a stamp for that rate, and hence why should it not be listed in the catalogues? The Butterfly high values issued by Tonga reflected their express mail rates and are apparently used regularly on the islands. On the other hand, what happens if say Royal Mail issued stamps with values of £10, £20, £50 and £100 with the idea that these could be used to make up higher parcel rates? There are very few, if any, postal rates which are exactly these rates, but like the 1p, 2p, 5p, 10p, 20p, 50p, £1 Machins are used to make up higher rates. Would these not get listed, even though they would probably see more use on mail as they can much more easily used to make up specific rates? Hence, where does one draw the line? Dear Chris, Thank you for your further comment. I agree again with your question that if a stamp - no matter how high the face value - serves a genuine postal need then should it receive a full Catalogue listing. The answer logically should be yes. Collectors can decide for themselves then if they wish to buy that stamp but of course "Completeist" collectors will find it difficult to choose to exclude a stamp from their collection if it is listed by a popular respectable Catalogue no matter how much, deep down, they would like to exclude an eye-wateringly expensive issue. It seems to me that these extremely high values pose a great problem for a Catalogue editor and it isn't really enough for an editor to resign themself to cataloging every sky high face value that comes along. I suppose a separate section for very high face value stamps, say more than £10, intended for use on parcels may be helpful. These would be separated from ordinary postage stamps in the Catalogue and this separation may help collectors decide not to include them in their postage stamp collection but also provide details of such stamps for those who feel they want to include them in their collection. The theory is by not listing them in the catalogue, collectors will be less likely to buy them, which will make them less likely to be issued. May have some effect, not sure how much. You are quite right to wonder how much of an effect refusal to list some items will have. I guess that if a postal administration really does need a very high face valued stamp to meet postal rates, particularly for large parcels, then that is fair enough and collectors should recognise that these are genuinely necessary stamps and decide whether or not they wish to buy such stamps. However if some extremely high faced valued stamps are released by postal authorities or philatelic agencies with a proven exploitative record then collectors may be suspicious that these are not put on the market to meet postal needs but just to screw more money out of collectors and therefore be less prepared to spend a lot of money to put them in their collections. 955. Kingfishers Featured On New Singapore Issue. 954. An Post Depicts Royal Sites Of Ireland. 948. WOPA Suspends Maldives Sales. 947. Strange But True - Maldives Joins WOPA. 946. New Botswana Stamps Depict Leopards.